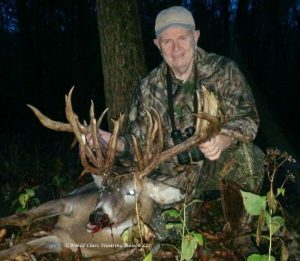 Jim from Indiana arrived on Monday with hopes of getting a nice Buck. 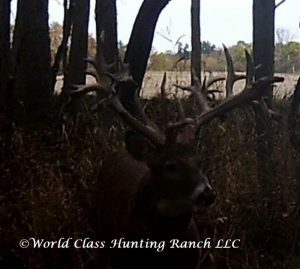 He was not expecting to see so many bucks! 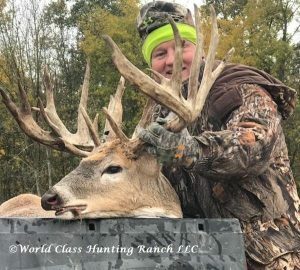 They saw lot’s of bucks that evening and captured some video of a nasty aggressive buck which had 2 different bucks on the ground during that evening. Let’s just say the nerves were running pretty high in the blind, as those bucks tussled it out! 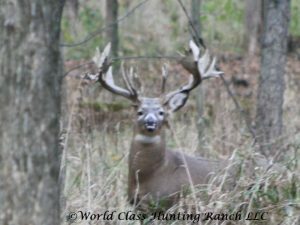 That evening there was lot’s to talk about at the dinner table, as Walter had taken a big drop tine buck. 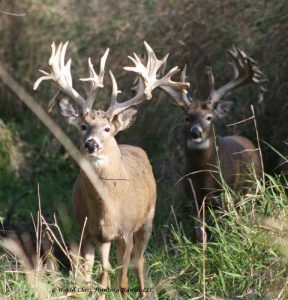 The next morning they headed out and saw plenty of bucks but Jim had about 4 picked out that he would like to see again. 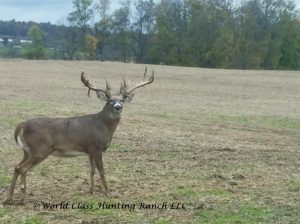 Around mid morning Bill saw the one he had to have and he ended up shooting a super nice Big Buck as well. 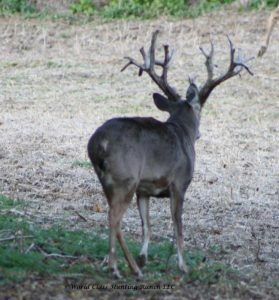 So late afternoon they started on a stalk, as by now Jim had made up his mind he wanted the large typical he had seen the night before…if they could find him…After a few hours they came upon some does and Bucks and sure enough, he was in the group. But getting a shot when you are 200 plus yards away and they are slowly moving along, some stopping, etc. Tensions were at an all time high by now, and then Rich whispered, “NOW!” Jim totally drilled him. He dropped right there! What an awesome shot and experience! 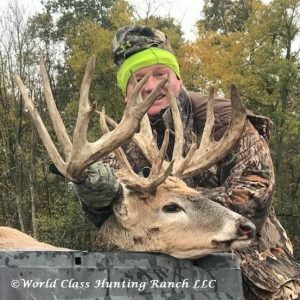 Jim is already planning his next hunt with World Class Hunting Ranch and is bringing his son along! Jim, we can’t wait to have you back in December! Walter and Bill arrived on Monday, and what a great couple of guys! 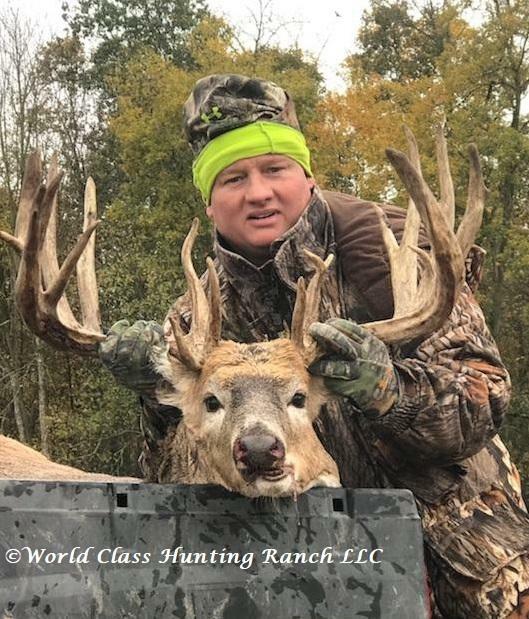 It was rainy as they were getting into the blind, and they soon started seeing some deer, well, after a few hours and seeing many deer, along comes this nice wide buck with drop tines, and Walter simply couldn’t resist, and made a nice shot and the buck was his! 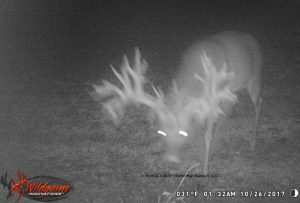 The evening wore on, and they kept hearing bucks fighting, and then Matt made some rattling noises, and here comes the mean buck ready for a fight! 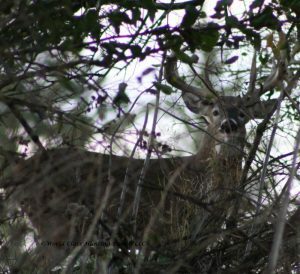 Bill was debating taking the mean buck, but decided to wait and see what they see the next day. After dark Owen showed up with the Ranger and they loaded Walters deer and headed to dinner. 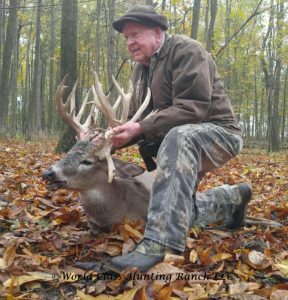 The next morning, they headed back out after breakfast, and were not in the stand very long when this nice Handle Drop tine buck shows up, it didn’t take Bill long to decide whether this one was for him, he dropped him with one shot! 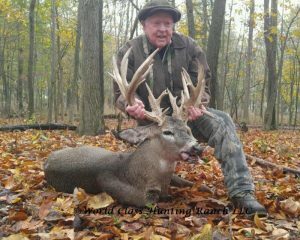 Congratulations Bill and Walter on a Bucket list hunt! We look forward to seeing you guys back soon!